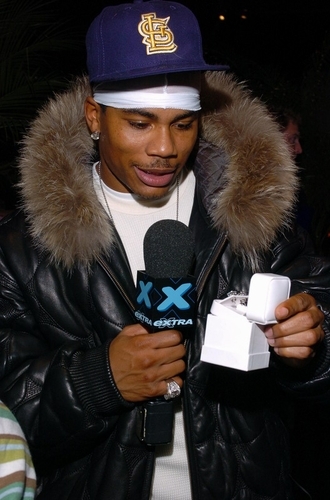 Nelly admires his Ziamond Cubic Zirconia CZ Stud Earrings in 14k white gold. Ziamond's high quality cubic zirconia cz Stud Earring Collection features the finest quality cubic zirconia available. Ziamond's diamond look Cubic Zirconia earring studs add that "must have" sparkle to your face, making anyone feel confident and radiant. Available in different shapes and sizes, set in solid 14K yellow or white gold. Also available in 18K or luxurious platinum.